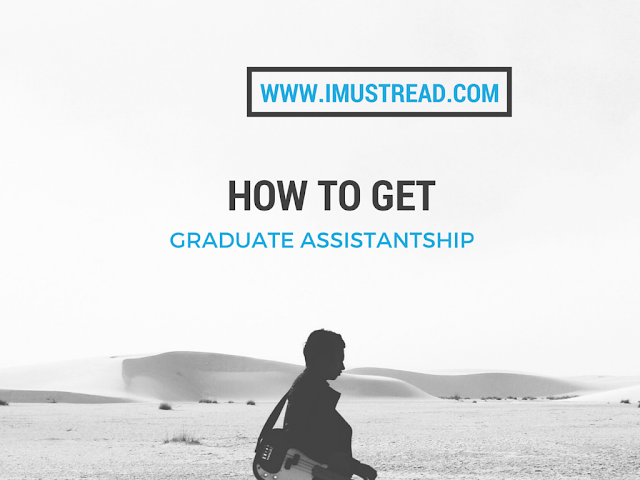 As a graduate student, you must always seek an assistantship. An assistantship is not an ordinary on-campus job, rather it is an opportunity for you to work in the area of your interest and get paid for it! Essentially, an assistantship can save you a whole lot of financial onus. On the part of working for your college, your institute will most likely waive a good portion of your tuition and also provide you a stipend for living purposes. Most colleges offer such invaluable funding for grad students, however, the funding is naturally limited and you’ll need a really good profile to get a nod in your favor. Usually, an application for financial assistance is provided in the admissions application form. So while filling the application. you can easily complete the assistantship form. However, in some places, the admissions department is separate from the financial assistance department. Hence, you are required to approach the faculty individually to persuade them to have you work with them with the skills and the potential you possess. Depending upon your interest and the availability of the job, you can either be a research assistant or a teaching assistant. Assistantships are a favor that universities bestow upon their students. They’re not freely available to everyone and are often subject to a rigorous review of the candidates’ credentials. You may get into a college of your choice, but you may not get any financial aid from their end. An assistantship is a means through which an institute invests upon a student. So they will be very selective in choosing which applicants are truly worthy of such an award. They will read your application meticulously to see if you stand head and shoulders above the average pupil. Our advice, get professional experience beforehand, make solid additions to your CV and try to score highly in the required tests. Now that you are in contact with the institution’s faculty, you need to be very careful in your tone. You also have to be very vigilant in terms of checking your correspondences and responding to them earnestly. Remember, these people you are communicating with are dignified personalities and will have achieved tremendous laurels throughout the course of their lifetimes to reach where they are today. Even within a department, there will be many different kinds of faculty members specialized in different areas. So you need to choose the ones relevant to your field of study. You must make sure they are aware of your abilities and what you can bring to the fore. At the end of the day, you’ll have to appear for an interview. During the course of the assistantship, you will be required to teach or to conduct labs and presentations so your college needs to know whether you’re the right man for the job! Prepare well for the interview, be ready for the questions they throw at you and most importantly, speak sense, always. Miesha Tate is working as a financial auditor in one of the top accounting firms within the country of the United States. Miesha has high interest in reading and writing, which is why she also works as a freelance writer and a contributor on social media forums and popular websites like aussieassignment services. Miesha is an individual with a very charming and inspiring personality.